Immersive and interactive museum exhibits have become the industry norm to excite your audience, and have become a powerful tool to build visitor engagement. Identifying the factors that make them successful can significantly contribute to a museum’s long-term relationship with the visitors. 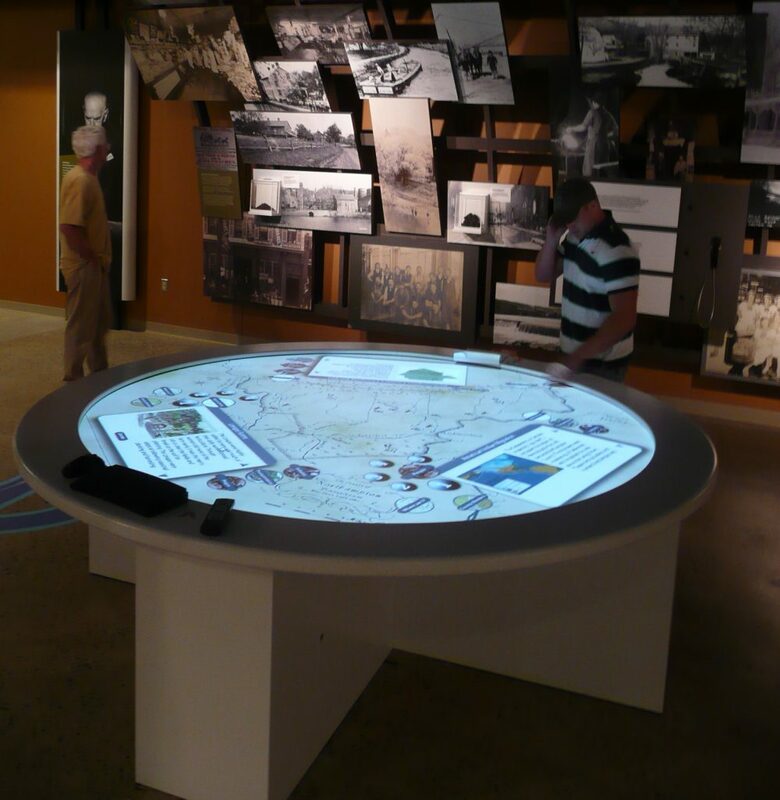 The CMS AV Hardware Integration team has over 30 years of experience in audio-visual integration and systems design for museums, visitor centers, welcome centers and corporate environments across the country. This department works in tandem with project managers, designers, clients and contractors in every aspect of AV integration including AV System design, computer based interactive exhibits, digital signage, commercial displays, touch-screens, projection systems, lighting and sound. They select the appropriate equipment to fulfill our clients’ and the designer’s visions, and work to ensure that software and hardware work in perfect coordination, on time and on budget. In addition to our standard one year warranty, we offer ongoing service and maintenance agreements designed specifically around your needs. This way you can be sure your systems will be running and properly maintained, even after the warranty expires. We would be pleased to work with your AV team, or directly design, specify and install all the hardware systems required to create any type of media based exhibit. This advanced technology team is also available for periodic maintenance and system recommendations for existing multi-media exhibits. In order to keep your interactives performing reliably and up to date, CMS can provide regularly scheduled service to avoid down time, evaluate for potential upgrades, and keep your media optimized and current.